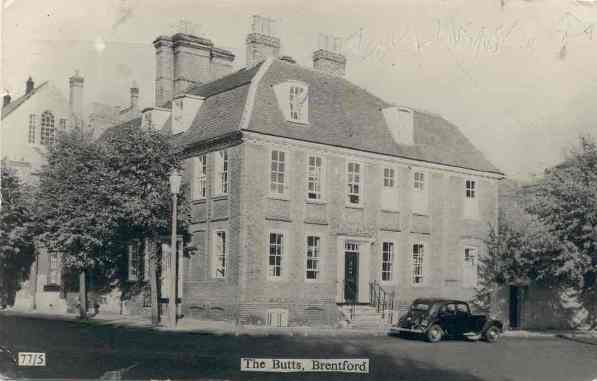 Roger Williams sent two postcard images showing Brentford Butts, both featuring the Cottage Hospital building, see two 1975 photos for different views of this area and a little of the history of the building. The first image is older, the trees planted along the pavement edge are mere saplings. See a wider, tinted view taken at a similar date (early 1900s) also provided by Roger. 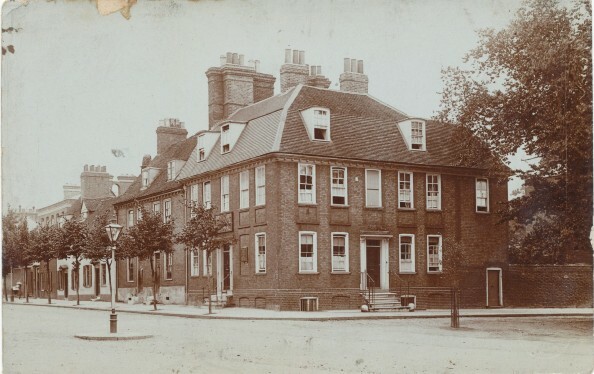 The second image includes a car, dating it to the 1920s or 30s, the skyline to the left shows some rebuilding has taken place in a nearby property.